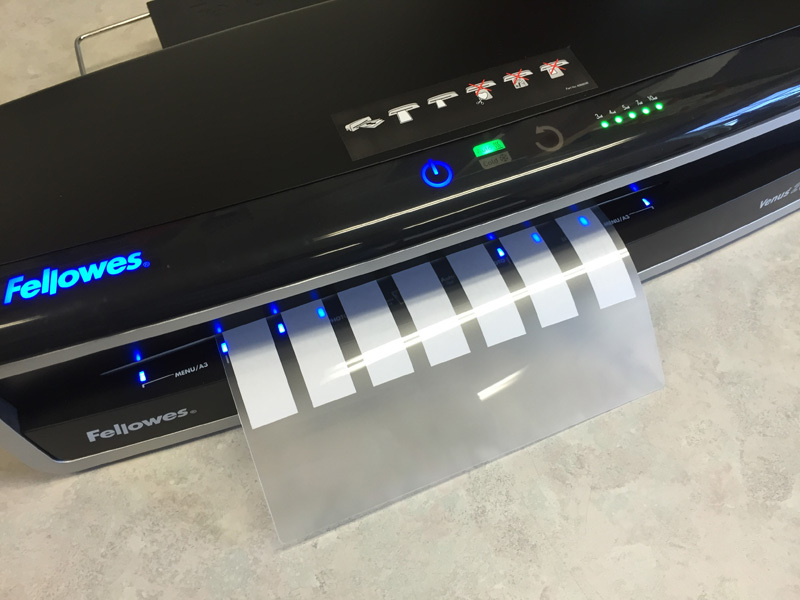 Laminating is a great way to protect signs for outdoor use, and to preserve them against long-term wear and tear. We offer several sizes of lamination, including 3.5x2 (business card), 8.5x11, and 11x17. We can also laminate large items up to 2ft wide.